The Researchers’ Night was held on Friday, 28 September, in 11 locations in Finland from Helsinki to Sodankylä. The event offered new experiences, practical research experiments and discussions with enthusiastic scientists. Again, the event featured hundreds of researchers all around Finland. In total 27,000 visitors participated in the events and workshops during the day and night. The Researchers’ Night was especially popular in Jyväskylä, where versatile programme gathered as many as 13,500 visitors. The event also attracted a plenty of audience in Tampere, Kuopio and Oulu. This year’s theme was traces, the marks science makes on society and that humans leave on the earth. The event also celebrated the European theme year of cultural heritage and remembered the Finnish Civil War in 1918. The most popular items included, for example, a teddy bear hospital in Kuopio, a bug workshop in Oulu and game research and robotics in Tampere. 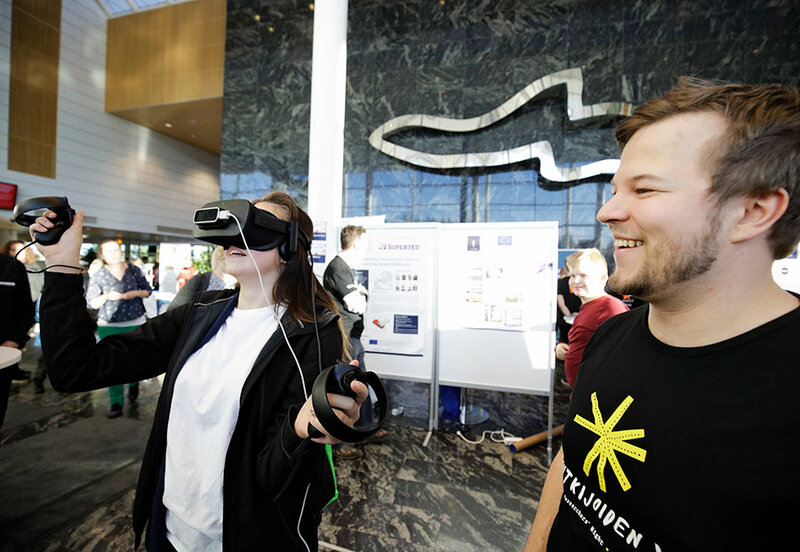 “The variety and extent of programme in the Researchers’ Night was exceptional, and the event succeeded to intrigue both children and parents,” says Senior Researcher Janne Pakarinen, the coordinator of the event. European Researchers’ Night is a science event that makes science and the work of scientists familiar to audiences all over Europe. It has been organised since 2005. Last year in total 24,000 visitors participated in the event in 14 locations in Finland. This year’s locations were Espoo, Helsinki, Joensuu, Jyväskylä, Kajaani, Kokkola, Kuopio, Oulu, Sodankylä, Tampere and Turku. The versatile programme was created by nine Finnish universities, the VTT Technical Research Centre of Finland and the Institut Francais de Finlande. Almost 1800 visitors experienced interactive learning points in University of Jyväskylä´s Agora building. The European Researchers’ Night project is funded by the European Commission’s Marie Skłodowska-Curie actions, agreement number 817987. Follow the light of knowledge – come to Researchers’ Night!